Outdoor seasonally heated swimming pool, free car park, free wireless internet access, honeymoon suite, beauty therapy room, table tennis, pool table, only 5 mins from the beach and a complimentary cream tea on arrival. 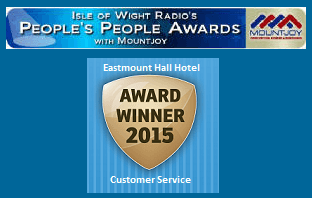 The Eastmount Hall Hotel is designed to offer everything that you would need and expect from an exceptional Isle of Wight hotel. Of course the Isle of Wight has many hotels and accommodation options for people to choose from, however here at the Eastmount Hall Hotel Shanklin we like to think that we have that little something extra to tempt out guests when choosing where to stay on the Isle of Wight! Not only do we have free parking and magnificent sea views but we also have a seasonally heated outdoor pool, a fully licensed bar for those relaxing evenings and we are only a short walk to the old village, Keats Green Cliff path and the lift and walks to the seafront. 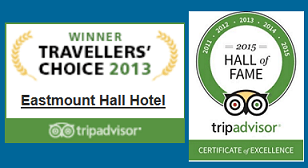 We are proud to offer what we consider to be the three accommodation ‘essentials’ you look for when choosing places to stay to ensure a happy holiday. They are high standards, an excellent choice of food and an ambiance that is so welcoming and friendly that you will at home the moment you walk through the door. Starting with a complimentary cream tea on arrival we aim to please and delight throughout your stay with us. 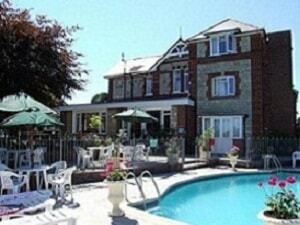 The Eastmount Hall Hotel in Shanklin offers high quality Isle of Wight accommodation. There are en suite facilities in all rooms as well as a colour television, tea and coffee making facilities, a hairdryer and a range of complimentary products. Sit and relax in our lounge or garden and enjoy breath-taking sea views. 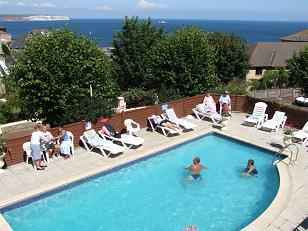 Situated on the highest mount in Shanklin the Eastmount Hall Hotel has some of the best views of all the hotels on the Isle of Wight including the Bay and the Culver Cliffs and is only 5 minutes from the beach.